It’s nearly impossible to get through a year without a cut, scrape, bruise or burn on your skin at some point. Minor wounds are an unavoidable hazard. Even if it’s a small paper cut, it can hurt pretty bad, and all you want is for it to heal quickly. Moreover, irrespective of the severity, even the most minuscule of wounds can get infected if proper care is not taken. Excessive smoking or alcohol consumption. Health conditions, such as diabetes, high cholesterol, hypertension, etc. Weakened or compromised immune system. If you got a wound recently, that doesn’t seem to be healing very fast, check for the following signs of infection. Redness in and around the wound. Yellow or white liquid discharge. Swelling in the surrounding area. The skin around the wound feels slightly warm. If you’re nodding your head as you read the list above, it’s likely that the wound is infected and may require a visit to your doctor or nearest emergency room for proper care and treatment. 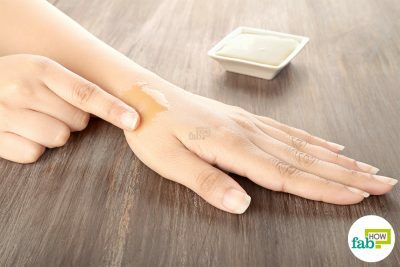 For other cases, minor wounds can be healed easily using natural antiseptics and salves that you can find in your home. You can also use home remedies to stop bleeding from cuts and wounds in less than a minute. We bring you the 12 best home remedies that you can use to heal minor wounds without much effort. Before you proceed with any of these remedies, make sure to clean the wound thoroughly using a mild soap and running water. Also, If the wound doesn’t heal even after 5 days, make an appointment with your doctor to get it checked thoroughly. Sugar has been used in the treatment of burns, postoperative wounds, and diabetic ulcers. Wound healing with the direct instillation of sugar activates an osmotic effect that in return causes the formation of good granulation tissue and reduces swelling. Sugar pastes can create a moist environment to elicit wound healing by causing mechanical debridement of the wound bed. It can help remove purulent and odorous material along with decreasing surrounding erythema. 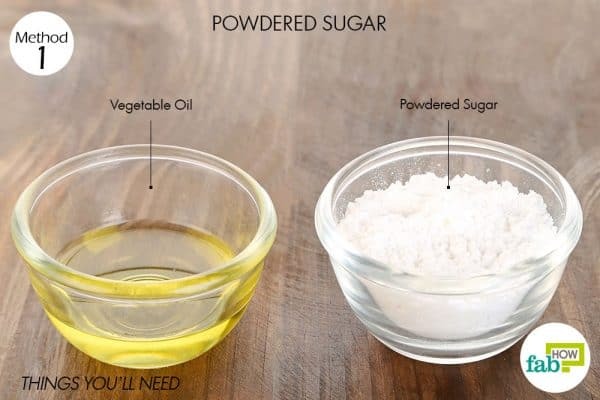 Combine 1 part vegetable oil with 3 parts powdered sugar. 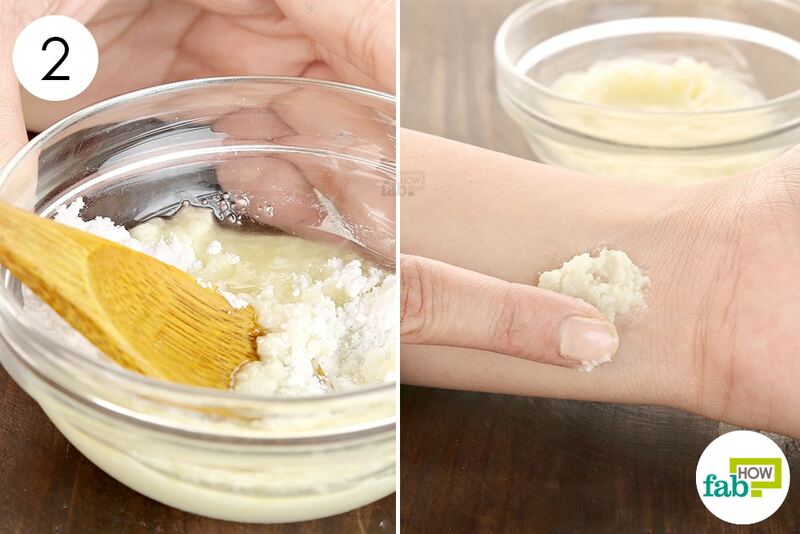 Apply a thick layer of the paste over the wound. If it is not a weeping wound, you can cover it with a bandage. Leave it on for a few hours, then gently wipe off the paste. Apply the paste twice daily for 2 to 3 days to heal an infected wound. Honey is very viscous; therefore, it protects the skin from the environmental bacteria. It also keeps the wound hydrated and reduces the pain. Glucose from the bee crop slowly breaks down into gluconic acid which causes the pH of the honey to decrease. The decreased pH and hydrogen peroxide content in honey help kill the bacteria and sterilize the wound. The low pH of honey causes the oxygen to increase and be released from the hemoglobin. You’ll want to use Manuka honey with the highest UMF (Unique Manuka Factor) you can find. The higher the UMF, the higher the concentration of methylglyoxal in the honey. Spread a thick layer of Manuka honey over the wound. You can also cover it with medical gauze. Leave it on for a few hours, before wiping it off and reapplying. Reapply the honey 2 or 3 times daily until the wound is completely healed. The duration of recovery will depend on the severity of the wound. Open wounds are quite susceptible to infections and will take longer to heal if you do not take proper care. 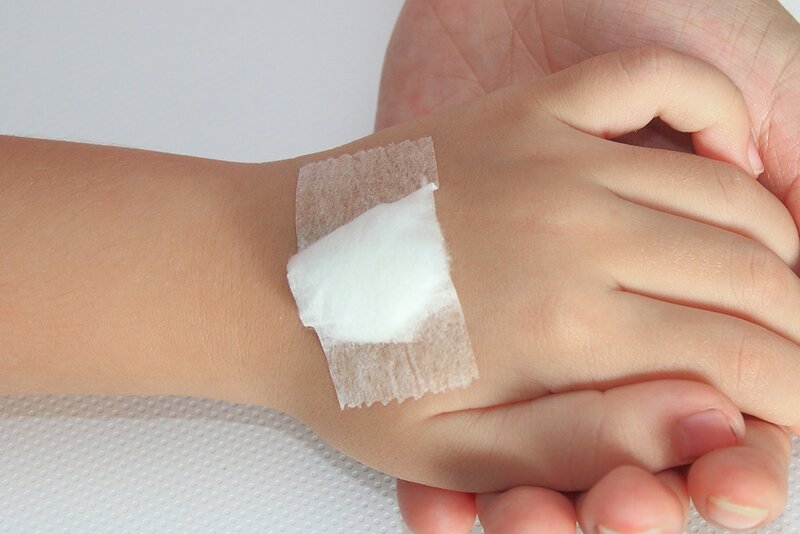 Cleaning the wound with saline solution can help draw out any invading bacteria via osmosis and, thus, aid speedy recovery. You can use either common table salt or Epsom salt to make the salt solution. Pout 1 cup of warm water in a bowl. 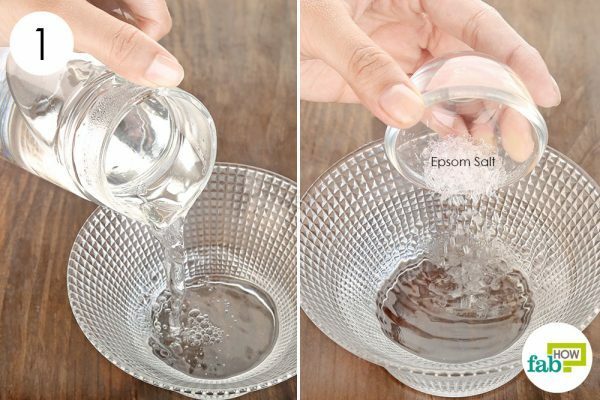 Add 2 teaspoons of Epsom salt per cup of water. Increase the quantities according to the area you need to soak. Soak the wound in the solution for 20 minutes. Alternatively, if it is a closed wound, soak a flannel cloth in the saline solution, wring out the excess water and use the cloth as a warm compress over the wound. Repeat soaking 3 times daily for 2 to 3 days or until the infection has cleared up and the wound begins to dry and heal. Our bodies can fight off any infection or heal lacerations on their own. However, external irritants can hinder the recovery and also infect the wound. 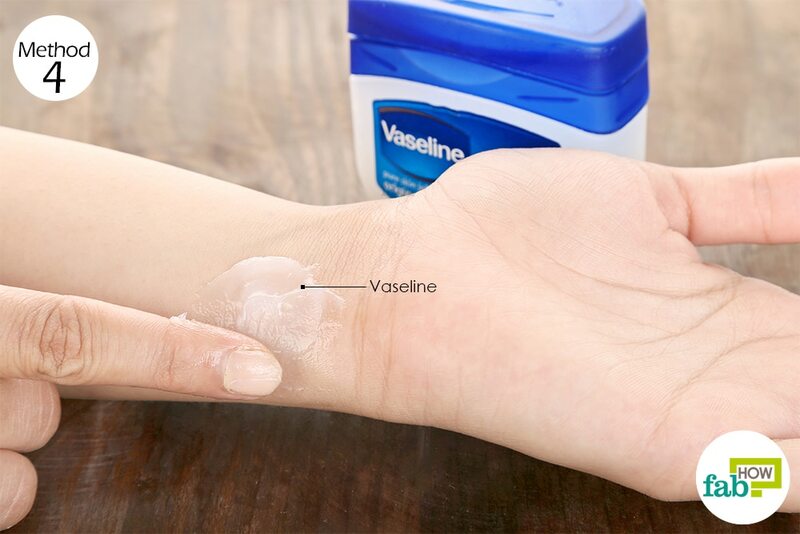 Vaseline helps form a protective layer over the site of the injury, giving it the right environment to heal. Since moist healing is faster than dry healing, Vaseline can help heal a wound easily without the formation of a scab. Smear a thick layer of Vaseline over the wound and leave it on throughout the day. If needed, cover the wound with a bandage. Clean the wound every morning and reapply Vaseline for 2 to 3 days or until the minor wound heals completely. The active compound curcumin present in turmeric is what makes it an effective healer. A potent antioxidant, it lends antiseptic and analgesic properties to turmeric. When used topically over a wound, it helps kill any microbes invading the wound. Turmeric also helps the blood clot at the site of the injury and constricts the wound without leaving a scar. Since turmeric is also anti-inflammatory, it reduces pain and brings quick relief. It is for this reason that turmeric is also touted as an effective treatment for arthritis pain. Add enough water to make a paste and mix it well. Apply it over the wound and cover it with a bandage. Leave it on for 12 to 24 hours. Remove the bandage and clean the wound before reapplying the paste. 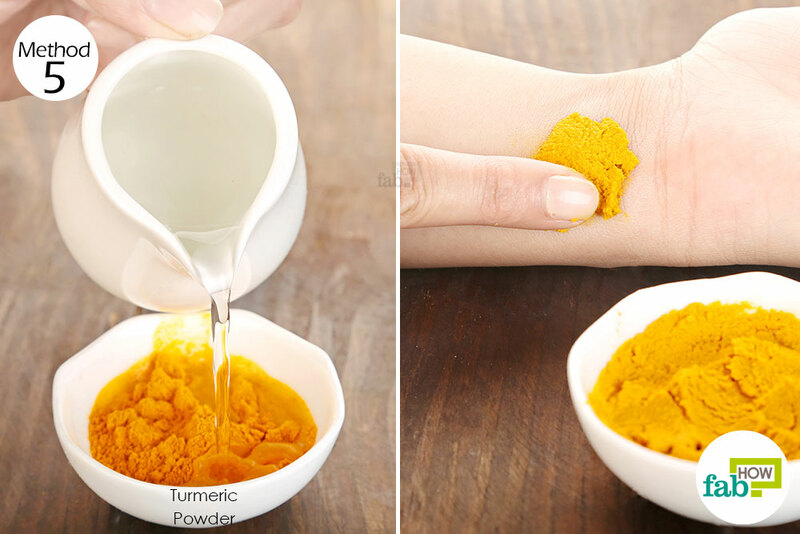 Apply the turmeric paste daily for 3 or 4 days to heal a minor wound. 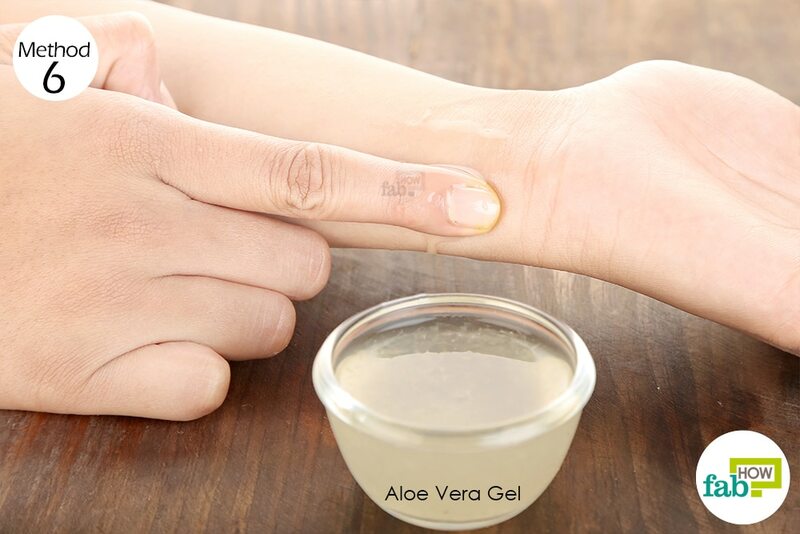 Pure aloe vera gel can also be applied to heal minor wounds. Aloe vera contains essential hormones called auxins and gibberellins that speed up wound healing. The gel also promotes skin regeneration by stimulating fibroblast cells that produce collagen and elastin fibers. The cooling aloe vera is also antiseptic and analgesic, so it is often used to soothe minor burns and sunburn. 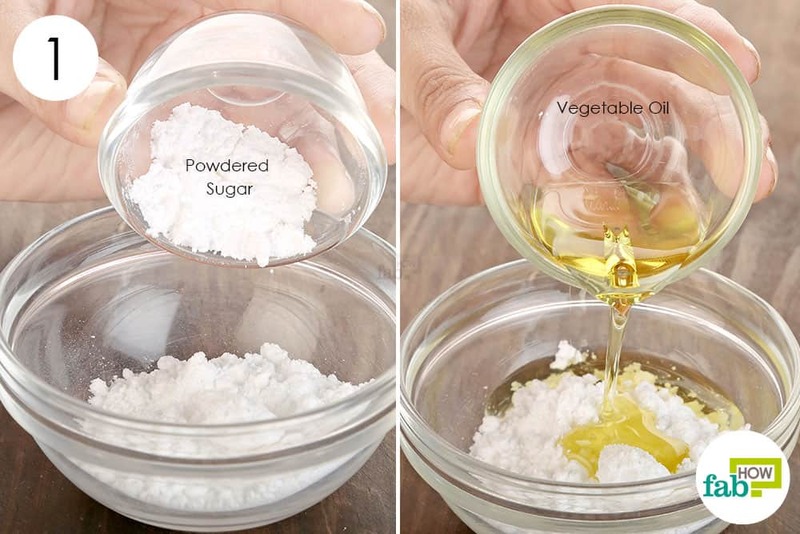 You can buy the gel or learn how to make your own aloe vera gel. Smear freshly extracted aloe vera gel over the wound. Let it absorb into the skin. If needed, cover the wound with a bandage. Reapply the gel after 2 to 3 hours. Continue to reapply aloe vera gel for 4 to 5 days to heal a minor wound. Coconut oil has many benefits as a wound healing topical. (9) It can enhance protection, repair the skin barrier, close wounds faster, kill bacteria, and reduce inflammation. It can fight off Propionibacterium acnes, Staphylococcus aureus, and Staphylococcus epidermidis. Higher concentrations of 5% to 40% can help destroy Pseudomonas aeruginosa, Escherichia coli, Proteus vulgaris, and Bacillus subtilis. Apply extra-virgin coconut oil over the wound. If it doesn’t hurt, rub the area lightly to help the oil penetrate the skin, or you can leave it as is. Cover the wound with a bandage to keep it protected from dirt and microbes. Let it sit for 3 to 4 hours, then reapply. 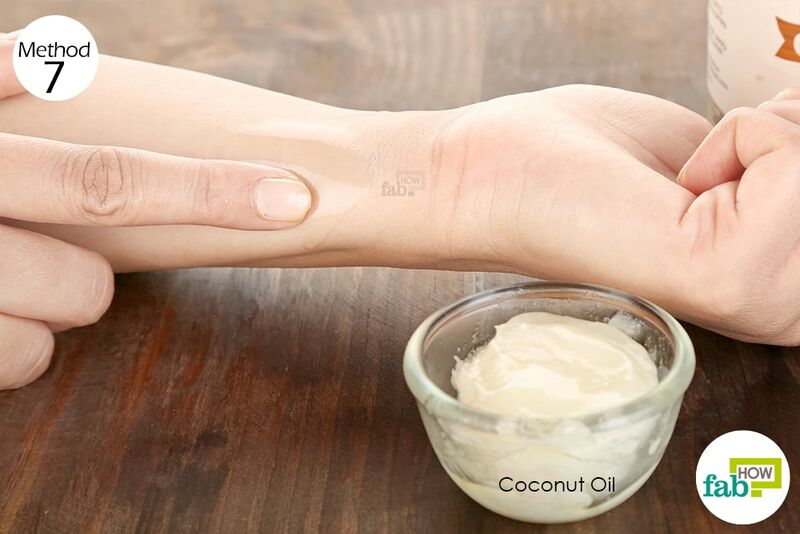 Reapply coconut oil 2 or 3 times every day until the wound heals completely. Cayenne pepper can also be used to treat a painful and bleeding wound. Capsaicin, a compound found in cayenne pepper, works as an analgesic to ease the pain. It also imparts antifungal and antibacterial properties, and can also be used to get rid of stomach ulcers. Cayenne pepper, when taken internally, helps equalize the blood pressure to eliminate excess pressure at the bleeding site and give ample time for the blood to clot; therefore, it can be used to heal minor wounds. 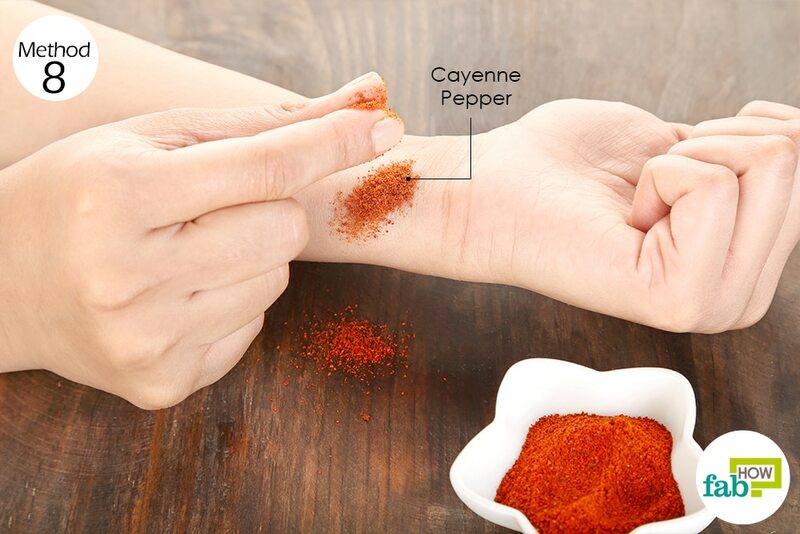 Sprinkle cayenne pepper powder over the wound to stop the bleeding in less than 5 minutes. Brush off any excess powder and check the bleeding. If needed, reapply the cayenne pepper. To further aid healing, add 1 tablespoon of cayenne pepper to a glass of warm water. Drink it once daily for 2 or 3 days. Povidone iodine, also known as Betadine, is a popular antiseptic solution used in wound dressings and during surgeries to clean cuts and wounds and to prevent localized infections. 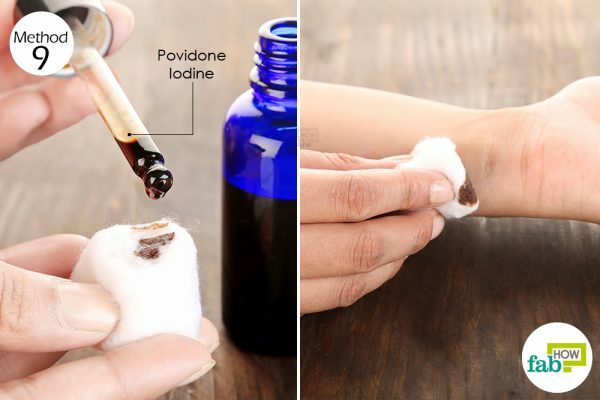 Put a few drops of povidone iodine on a cotton ball. Gently dab it over the wound. If the wound is not infected, cover it with gauze. Repeat application and change the dressing 2 to 4 times daily for 3 to 4 days to heal a minor wound completely. Famous for its effectiveness in treating acne, tea tree oil is now being considered as a powder antiseptic to expedite wound healing as well. The monoterpenes and sesquiterpenes provide analgesic, antiviral, antibacterial, antifungal, antiprotozoal, anti-inflammatory effects. Tea tree oil is effective against inhibiting the growth of Staph Aureus. 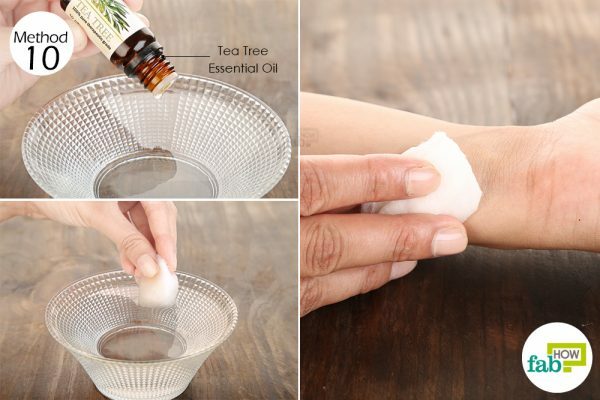 Note: As tea tree oil is a concentrated liquid, do a patch test first to check your skin’s tolerance to it. Add 2 or 3 drops of tea tree essential oil to 1 cup of warm water. Soak a cotton ball in it and dab it over the wound. Hold it for 1 to 2 minutes, then let the wound air-dry. Reapply 2 or 3 times daily until the wound heals. 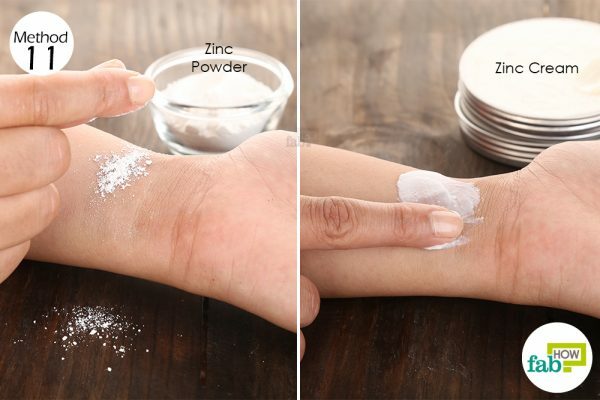 Sprinkle zinc oxide powder over the wound. Leave it on throughout the day. If the skin is not broken, you can also use a zinc-based antiseptic cream for faster healing. Additionally, take 10 to 30 mg of zinc supplements daily to speed up the recovery. Check with your doctor before taking supplements. Do this once daily to heal a minor wound naturally. Calendula is an age-old remedy to heal cuts and wounds. It has both anti-inflammatory and antimicrobial properties. It activates cell proliferation, collagen synthesis, and angiogenesis, and activates wound contraction. It helps repair skin tissues by promoting collagen formation in and around the injury, thus hastening the constriction of the wound. Calendula-based creams can also be used to treat skin conditions, such as eczema and psoriasis. Add 1 teaspoon of calendula flowers or ½ teaspoon of calendula tincture to 1 cup of water. Bring it to a boil and let it simmer for 15 minutes. Strain and let the liquid cool down. 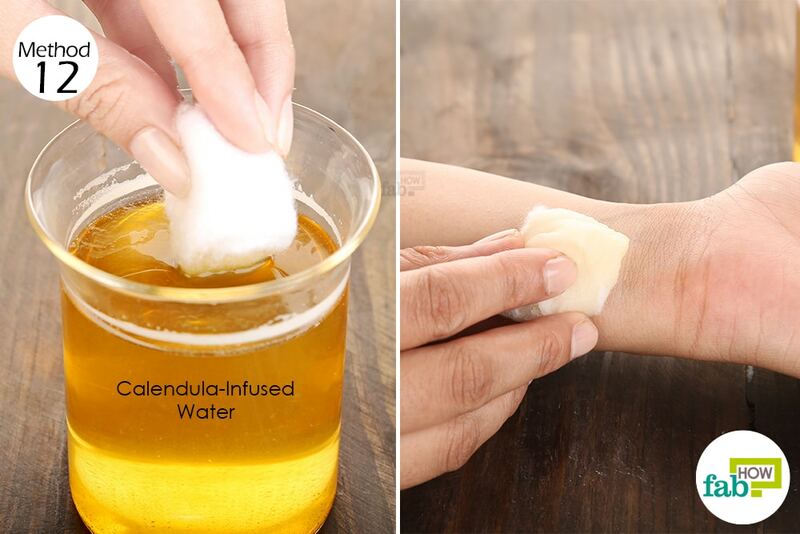 Soak a cotton ball in the solution and dab it over the wound. Leave it on for 2 to 3 hours, then rinse with water. Apply it 2 or 3 times daily to heal a minor wound. Eat foods rich in protein to help wounds heal faster. If a cut is bleeding profusely, apply direct pressure with clean hands for 10 minutes. Once the bleeding stops, place an ice cube over it to seal the wound. To prevent infection, always wash your hands before applying anything over the wound. Carter, Dee, Blair, et al. Therapeutic Manuka Honey: No Longer So Alternative. Frontiers. https://www.frontiersin.org/articles/10.3389/fmicb.2016.00569/full#B61. Published April 5, 2016. Martinotti S, Bucekova M, Majtan J, Ranzato E. Honey: an effective regenerative medicine product in wound management. Current Medicinal chemistry. https://www.ncbi.nlm.nih.gov/pubmed/29745320. Published May 2018. Minden-Birkenmaier BA, Bowlin GL. Honey-Based Templates in Wound Healing and Tissue Engineering. MDPI. https://www.mdpi.com/2306-5354/5/2/46. Published June 14, 2018. Hashemi, Abbas S, Madani, Abdollah S, Abediankenari, Saied. The Review on Properties of Aloe Vera in Healing of Cutaneous Wounds. BioMed Research International. https://www.hindawi.com/journals/bmri/2015/714216/. Published May 19, 2015. Bigliardi PL, Alsagoff SA, El-Kafrawi HY, Pyon JK, Wa CT, Villa MA. Povidone-iodine in wound healing: A review of current concepts and practices. International Journal of Surgery. https://www.ncbi.nlm.nih.gov/pubmed/28648795. Published August 2017. Lin P-H, Sermersheim M, Li H, Lee PHU, Steinberg SM, Ma J. Zinc in Wound Healing Modulation. MDPI. https://www.mdpi.com/2072-6643/10/1/16. Published December 24, 2017. Mahmudi G, Nikpour M, Azadbackt M, et al. The Impact of Turmeric Cream on Healing of Caesarean Scar. West Indian Medical Journal. https://www.ncbi.nlm.nih.gov/pubmed/26624595. Published September 2015. Lin T-K, Zhong L, Santiago JL. Anti-Inflammatory and Skin Barrier Repair Effects of Topical Application of Some Plant Oils. MDPI. https://www.mdpi.com/1422-0067/19/1/70. Published December 27, 2017.